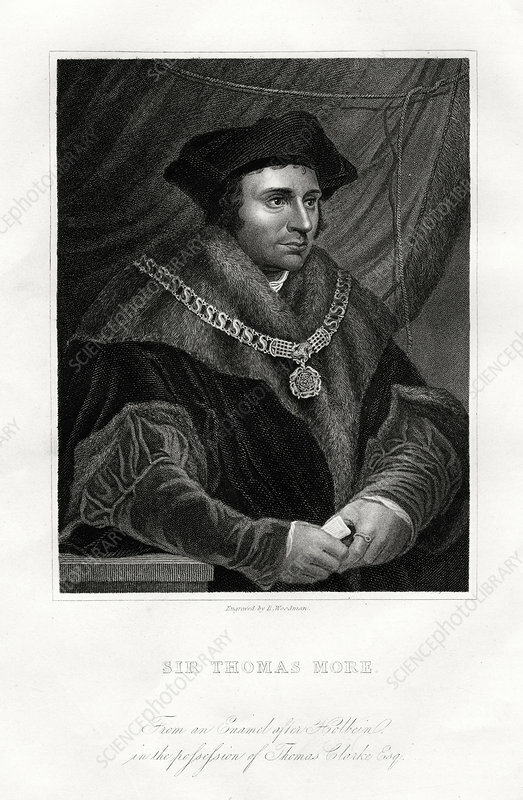 Thomas More, English statesman, scholar and saint, 19th century. Portrait of More (1478-1535) as Henry VIII's Lord Chancellor. More refused to subscribe to the Act of Supremacy which made Henry the head of the English Church. In 1534 he was imprisoned in the Tower of London, and beheaded on a charge of treason the following year. Artist: Richard Woodman.